Sign up now at ultrabrasil.com and find out when and where ULTRA Brasil will be! ULTRA Worldwide today reveals the next stop in their global takeover, as they announce official plans for ULTRA BRASIL in 2016! Currently the largest independent electronic music festival producer in the world, ULTRA Worldwide, has already established events in an incredible 18 countries and with this announcement, Brasil will become the 19th nation to join the ever-expanding ULTRA family in October 2016. Exact dates will be announced in the coming months. Famed the world over for everything from its iconic tourist attractions, such as the Christ the Redeemer Statue and Iguazu Waterfalls, to their reputation as soccer’s most dominant force, Brasil is unmistakably one of THE party destinations on the planet and ULTRA’s arrival in the country will only cement this further. The arrival also marks a true landmark moment for the country, which will now see two of the world’s greatest spectacles take place in 2016 – a full-blown ULTRA festival, and of course, the upcoming 31st Summer Olympic Games. 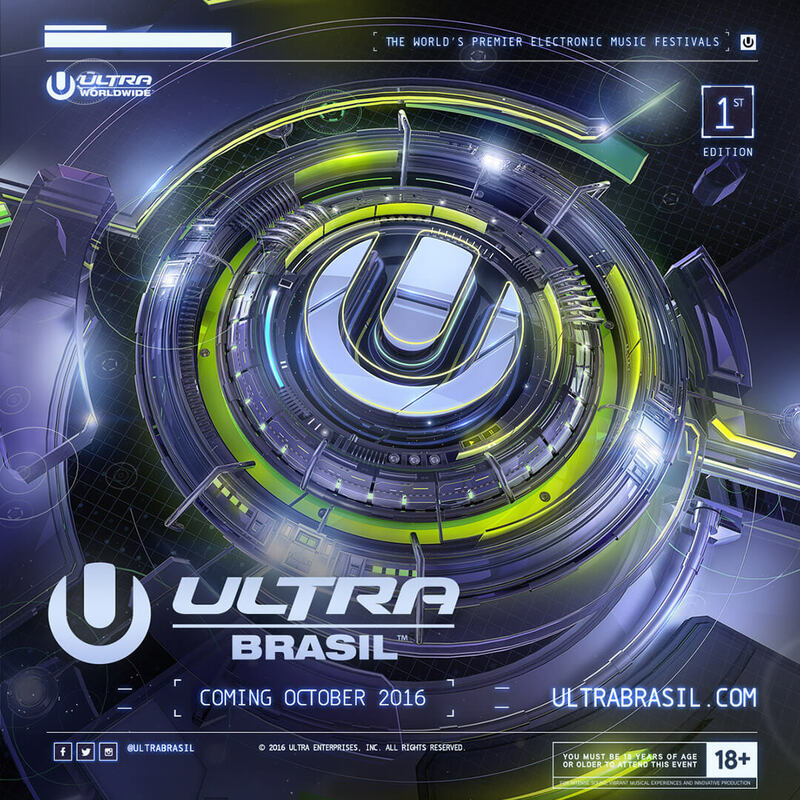 As speculation mounts on the chosen location for Ultra Brasil, fans can now sign up for information at ultrabrasil.com, which is where the full details will be announced very soon. ULTRA Worldwide’s global expansion actually began in Sao Paulo, Brasil in 2008, with Russell Faibisch, the Founder, Executive Producer and CEO of ULTRA Music Festival and ULTRA Worldwide, selecting the country as the first location to launch his Miami-born concept abroad. Since then, ULTRA has gone on to host festivals across the globe in Japan, Korea, South Africa, Argentina, Chile and Croatia, and soon will arrive in Brasil bigger and better than ever before.